Easily enable Google Optimize on your WordPress site. Google Optimize is a free A/B testing and personalization product by Google that lets you easily conduct experiments to see what works best on your site. With Google Optimize, you can use split testing and personalization to create online experiences that engage and delight your customers. But implementing it on your site can be tricky. 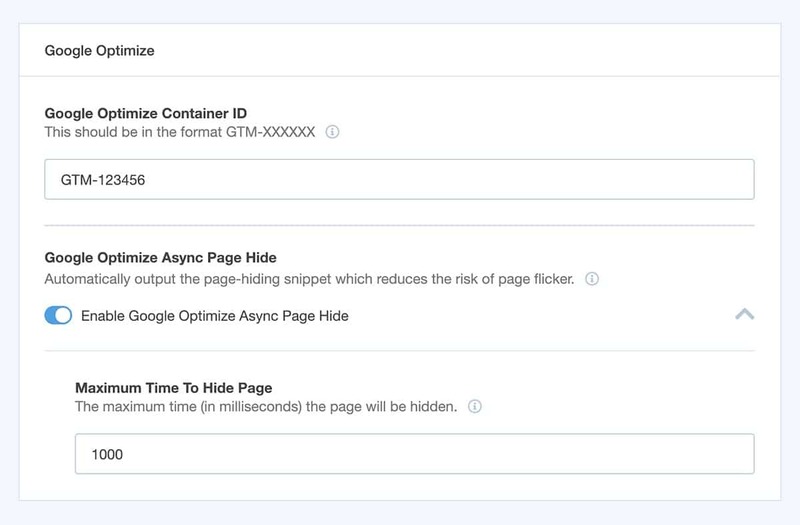 With the Google Optimize Addon for MonsterInsights, you can easily implement Google Optimize in just a few clicks. Google Optimize is just right for small and medium-sized businesses that need powerful testing, but don’t have the budget or team resources for an expensive enterprise-level solution. With the MonsterInsights Google Optimize Addon, you can start using your Analytics data to conduct A/B tests and improve the user experience and conversions on your site right away. What are you waiting for? Get started with MonsterInsights today! It just works. Really easy way to insert Google Analytics tracking code and keep it there when switching themes. No need to copy/paste code anywhere. This is the best way to handle Google Analytics in WordPress. Analytics for PROs! This plugin brings it all, great features and helpful info to easily see what you are doing.